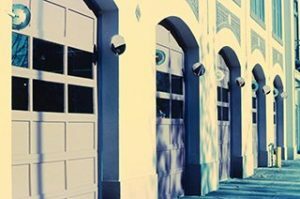 Your garage doors are a lot more important than you think. They are one of the first details visitors look at when arriving at your home. Garage doors can be elaborately designed or kept plain and simple to reflect the style of the exterior of your home. A nice set of garage doors can greatly increase your home’s appearance, value and curb appeal. Campbell Over head Doors Inc. has a huge selection of garage doors and opener systems. Our inventory features brand names such as C.H.I. and LiftMaster. All you have to do is select your door and we will take care of the rest of the garage door replacement process. One of our expert garage door technicians will come to your home, remove and dispose of your old door, and replace it with your brand new door. Our same-day service is fast and easy and will have you enjoying your new garage door in no time at all! Come visit Campbell Overhead Door Inc. to have a look at our garage door inventory and to place your order today! We look forward to working with you.